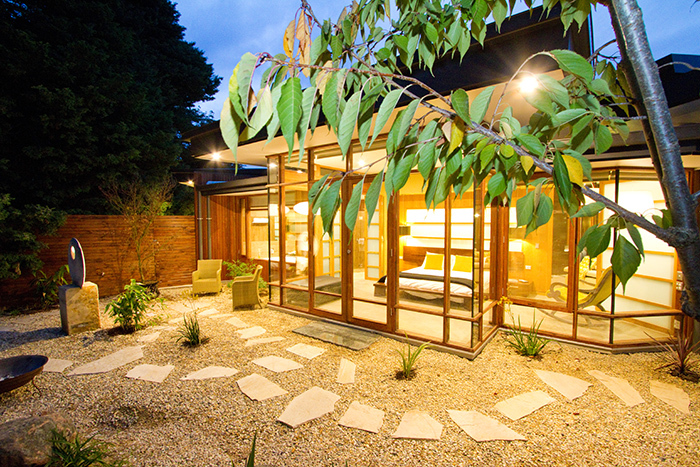 These Villas are the ultimate in luxury accommodation in the Adelaide Hills and opened in March 2013. Exclusive yet affordable they are an architectural inspiration of luxury holiday Villas often seen in places such as Bali, Thailand and Japan. Each Villa is individually styled and architecturally designed for seamless indoor and outdoor living. Floor to ceiling glass surrounds each villa allowing views and easy access to the private enclosed courtyards and landscaped gardens. 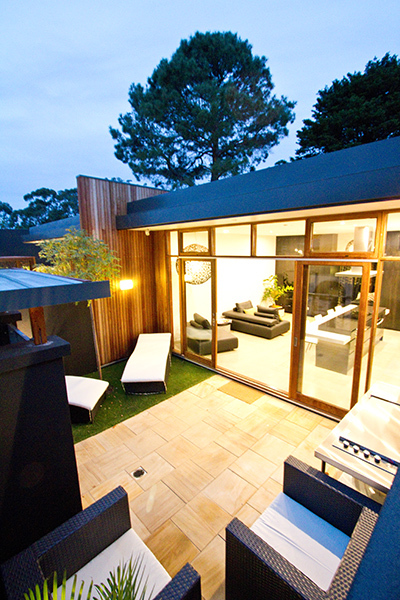 Our brand new private villas are the ultimate convenience and luxury for overnight accommodation in the Adelaide Hills. All our villas guarantee to evoke the senses, inspire the creative and deliver a 5 star experience. Which one will you choose? As well as our luxury accommodation, we are also a cooking school where you learn how to create restaurant quality dishes in hands-on cooking classes with Australia's masters of Asian, Spanish and Moroccan cuisine - wine and dine on the recipes. Cook and Stay packages are available on weekends. Our Bali Villa has one king size bed. Full cooked breakfast provisions are included where stated and there is a fully equipped kitchen. The villa has its own private walled courtyard and private gardens. Free Cot Available supplied without linen. 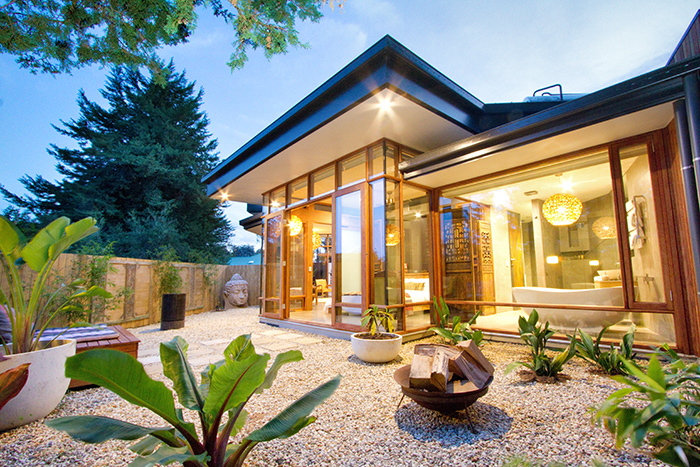 Our Yoko Villa has one king size bed and the ability to have 1 single pull down bed in the same room. Full cooked breakfast provisions are included where stated and there is a fully equipped kitchen. The villa has its own private walled courtyard and private gardens. Free Cot Available supplied without linen. Our Zen Villa has one king size bed which can be 2 king singles. In addition there is the ability to add 1 single pull down bed in the same room. Full cooked breakfast provisions are included where stated and there is a fully equipped kitchen. The villa has its own private walled courtyard and private gardens. Free Cot Available supplied without linen.